My alarm went off at 3 a.m. and I jumped right up. Though I had forced myself to go to bed at 10 the night before, truth be told I barely got any sleep. I raced around my hotel room, making sure I had everything I’d need for the 14 hour day. Lacing up my boots, I could feel my heart pumping fast. I headed down to the lobby to meet up with the others, where we finalized our gear check, loaded into the van, and were on our way. By the sounds of it, you’d think I was about to head out for a secret mission. But no, this mission was no secret. I had been talking about it for weeks. I had been looking forward to it — it was something that was going to push me harder than anything I’d ever done before. Honestly, I had mostly been fearing it, and the intimidation seemed to grow with every moment. As the van — filled with people, yet completely silent — traveled down the dark road, all of us lost in our thoughts, I flashed back to the incredible speech I had heard the night before from the amazing Erik Weihenmayer. Who is Erik Weihenmayer? Well, he’s many things, but I’ll just touch on a couple here. The image of Erik climbing up Mount Everest, without being able to see a thing, made me regain confidence. “If he can do that, I can certainly do this,” I thought to myself. The van finally arrived to our starting point, and the real journey began. With my headlamp on, and running on nothing but adrenaline, I started on down the path, not knowing that a few hours later I would achieve my goal — I would be celebrating my ability to push past my own barriers, and summit the famous Wilson Peak. In case you’re not familiar with the name Wilson Peak, I’m sure you’re familiar with the mountain. If you’ve ever seen a can or bottle of Coors Light, then you’ve seen Wilson Peak; this mountain serves as the mascot of this iconic American beer. And I climbed its 14,017-foot peak. The Hotel Telluride served as our home base during this adventure, and what a fabulous place to call home. 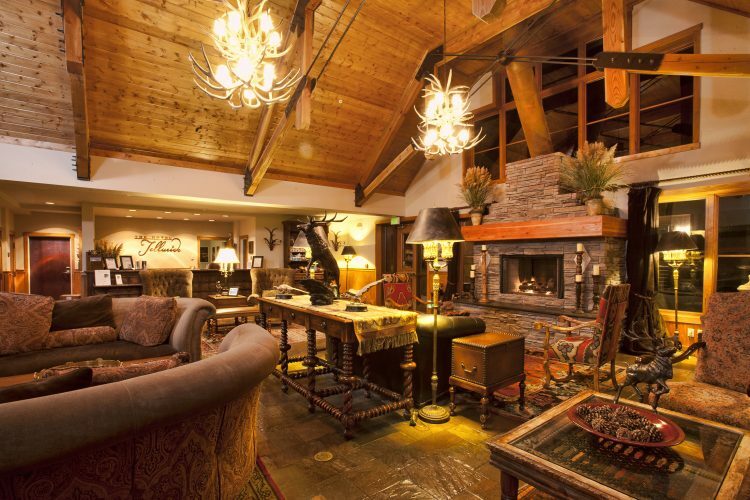 This 59-room luxury boutique hotel nestled into the Rocky Mountains exudes a European chalet vibe, and I loved every part of it. From the giant bed that posed quite a challenge every morning for me to peel myself out from beneath its many layers of soft feathers; to the incredible hospitality of all of the hotel’s staff; to the delicious and freshly baked cookies every afternoon, and much more, The Hotel Telluride provides the perfect mix of luxury and comfort. But my favorite part about The Hotel Telluride is their creation of the “Crack a Coors® on Wilson Peak” package, which is available to anyone who is up for the challenge. As someone who has summited the mountain and woke up the next morning wanting to head out and do it again, I can confidently say this experience is something you do not want to miss. 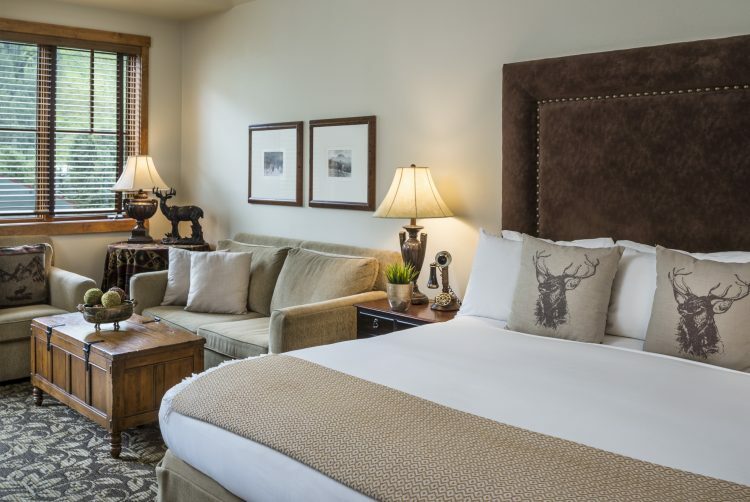 The Hotel Telluride has perfectly curated the “Crack a Coors® on Wilson Peak” package to ensure every part of this trip is unforgettable, in all the best ways. The hike is privately guided by the San Juan Outdoor Adventures, an outfit like no other. The guides that work with San Juan Outdoor Adventures are incredibly skilled, patient, and fun. (San Juan is also a fully-insured USDA Forest Service permitted outfitter, so you really have no reason to worry.) These guys will be your best friends and your cheerleaders throughout your hike. Now, a word of warning: this hike is challenging. Parts of it are Class 3 and Class 4, so it is advised that you be in good shape, and mentally prepared as well, to climb. The guides will certainly help you along the way, but they can’t work magic for those who really shouldn’t be on the trail. 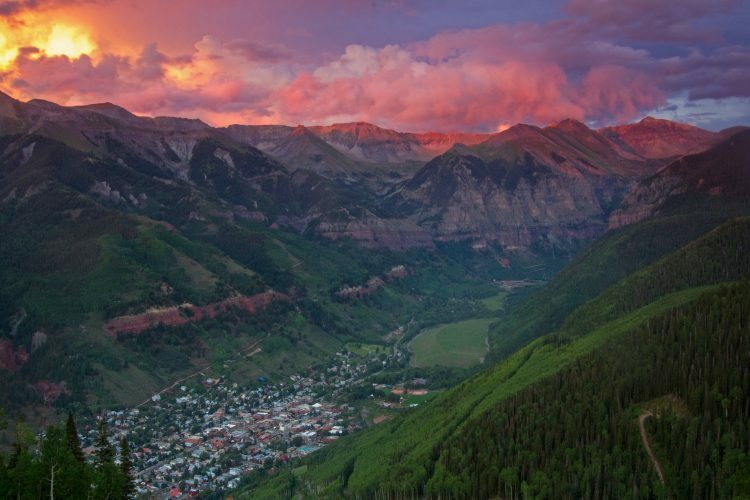 After spending the next few hours challenging yourself mentally and physically, you will be guided up to the summit of our favorite Coors Light peak, where you’ll rest and enjoy a delicious lunch packed by The Hotel Telluride. But the “dessert” is the best part. Skip the cakes and cookies. Up here, at the top of the 14,017-foot Wilson Peak, you’ll crack open a nice cold Coors Light and snap a selfie or ten. 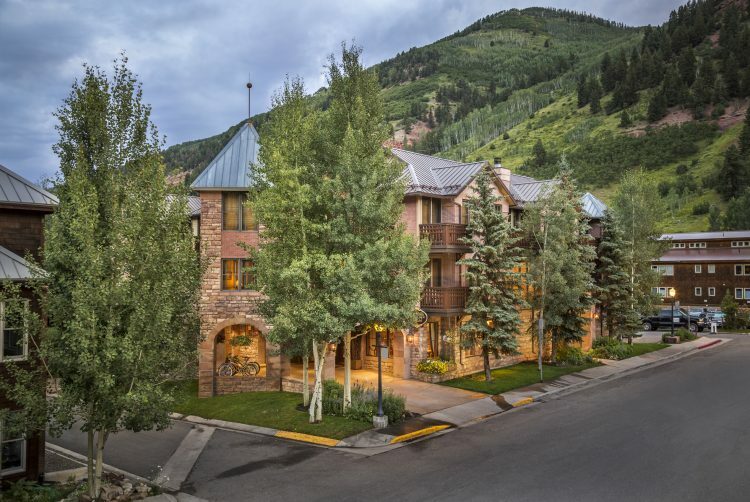 Then, you’ll make your way back down the mountain where a well-earned, luxurious spa treatment at The Hotel Telluride awaits you. This package starts at $2,159 and is available from July 1 – September 15 (based on availability and weather conditions). 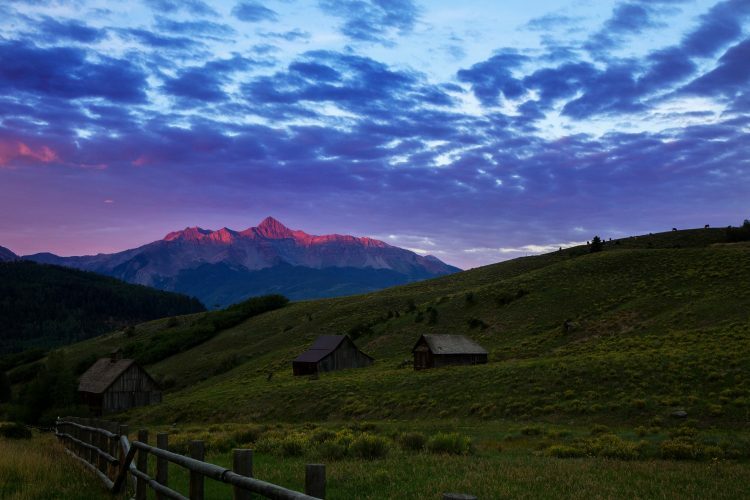 Getting to Telluride for this hike is an easy trip from Phoenix. The Montrose-Telluride Regional Airport (MTJ) offers non-stop service from Sky Harbor via American and United Airlines. The hotel is a 65-mile drive from MTJ through gorgeous Colorado vistas, which you can do either via a rental car or one of the many available shuttles. If you’re looking for an adventure of a lifetime in an incredibly stunning place, with some epic selfies to show off and plenty of stories to tell, call The Hotel Telluride at (866) 468.3501 or (970) 369.1188 today to book this life-changing experience. We promise that you’ll never look at a Coors Light the same way.